The creamiest, richest, smoothest lip colour you can imagine. Our revolutionary gel formula delivers the shine of a gloss, the comfort of a lipstick. Drenches lips in moist, lush colour that glides on buttery-soft, feels luxuriously smooth. Prepare lips for colour with All About Lips.To extend lipstick wear, line and fill in lips with Clinique lip liner; glide on lipstick with Lip Brush. 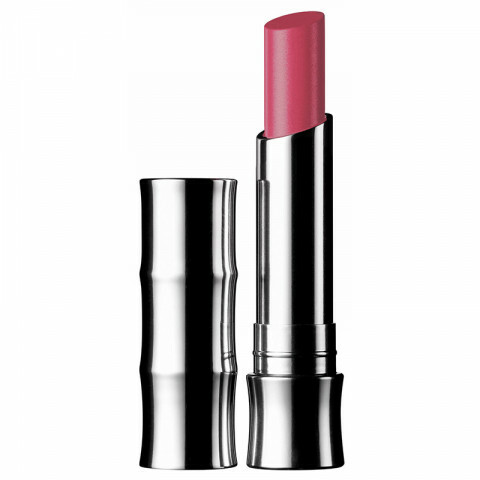 I have been wearing the Pink Goddess shade for years and it is just one of my favorite lipsticks of all time. The shade is very wearable - medium coverage with good staying power. It's not an all day or 8 hour type lipstick but gives good coverage, a nice shine and it feels natural on the lips. A classic pink shade.